Well… My kitchen smells incredible! 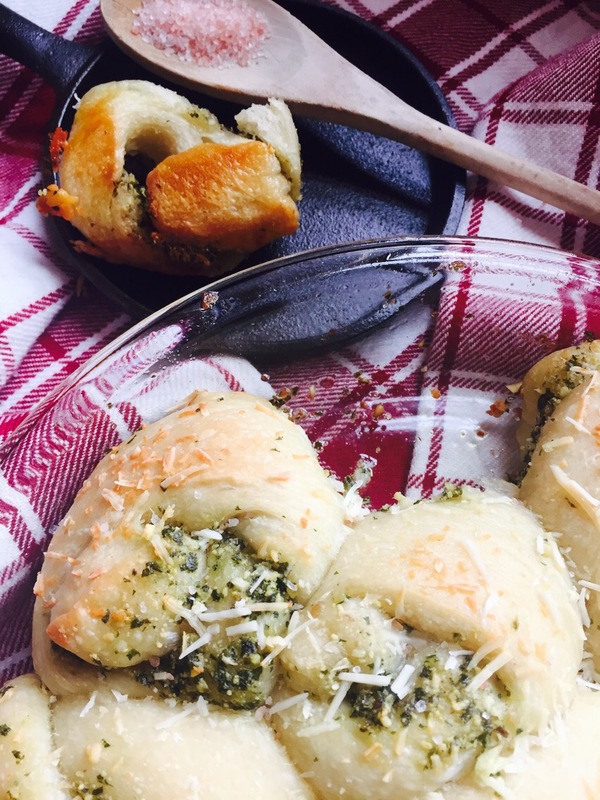 There’s nothing better than homemade dough baking in the oven with cheese and garlic. The smell–something straight from heaven. This past summer I decided to grow an abundance of kale. Our daughters were really digging the kale chip craze and I love to wilt it down in a Marsala mushroom sauce or add it to a simple salad. It’s funny, my first job at 16, was working at a seafood restaurant. It was my job to set up the market every morning- lay out the salmon and cod filets, shuck the oysters, check the mussels to be sure they weren’t open and well…dead. I’d slice the lemons and position everything in the large glass display case, with care. Kale was always the last thing to display… that last pop of color against the bed of ice and less than stellar smelling fish. 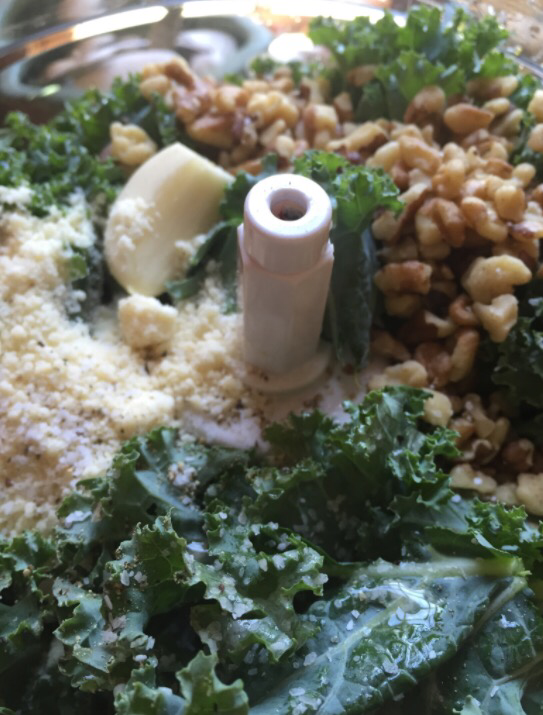 As I got older and realized kale was a thing…. Boom! Mind blown. It’s not just for show in smelly fish counters?!? Nope! Kale is so fantastic and I feel fortunate that our 8 and 9 year olds absolutely love it! It is packed with nutrition! Anyway… I grew a ton of kale! The great thing about kale is that it freezes well. 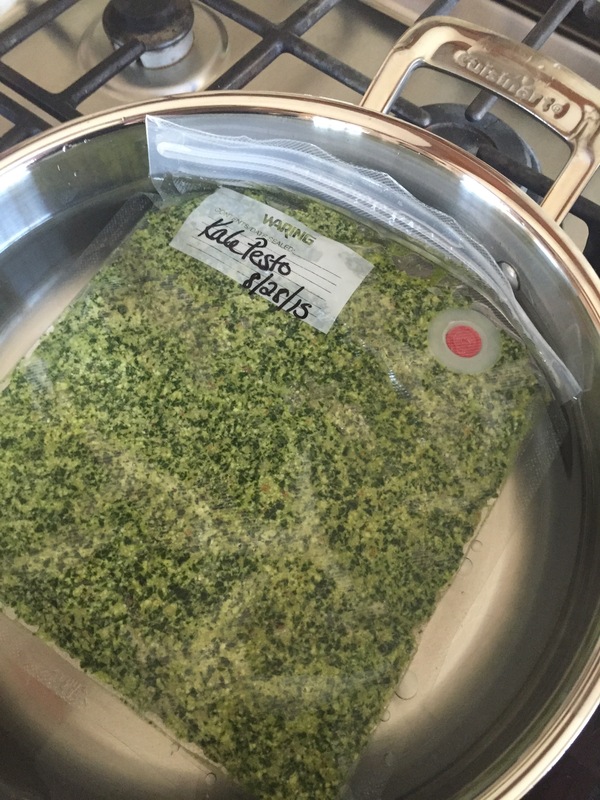 With that in mind I made kale pesto this past August, vacuum sealed small portions and what do you know?!! It’s February and I’m still enjoying my harvest via kale pesto! To thaw, I just set it in a pan of warm water for 10 minutes or so. Mix it all up! Freeze or use within the first few days. 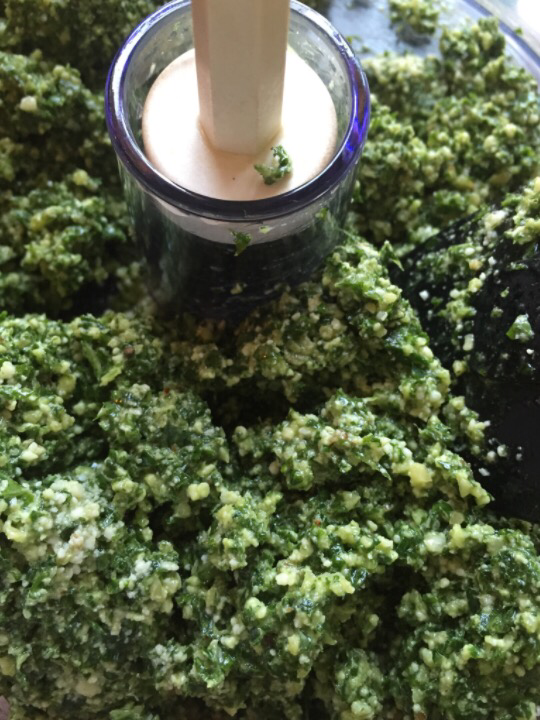 Kale pesto has such an earthy, robust flavor! You’re going to love it!! 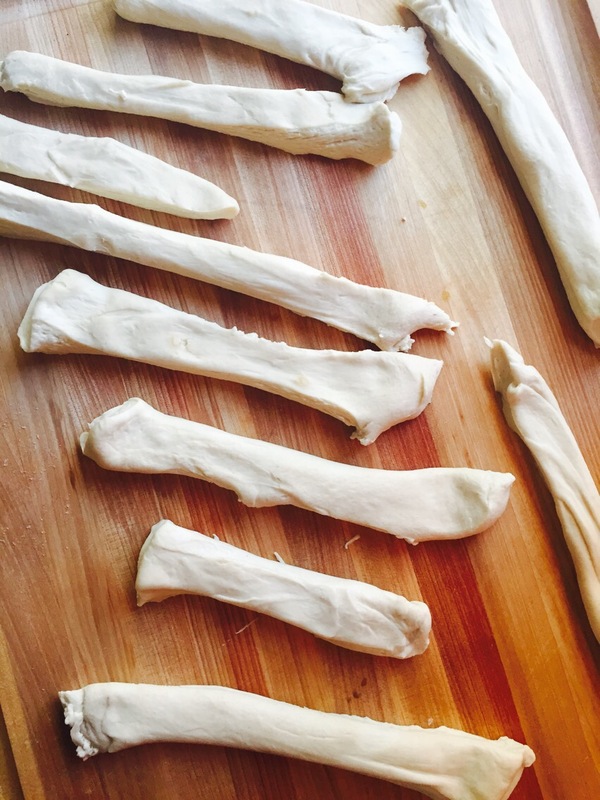 Preheat your oven to 350 and cut your dough into strips. 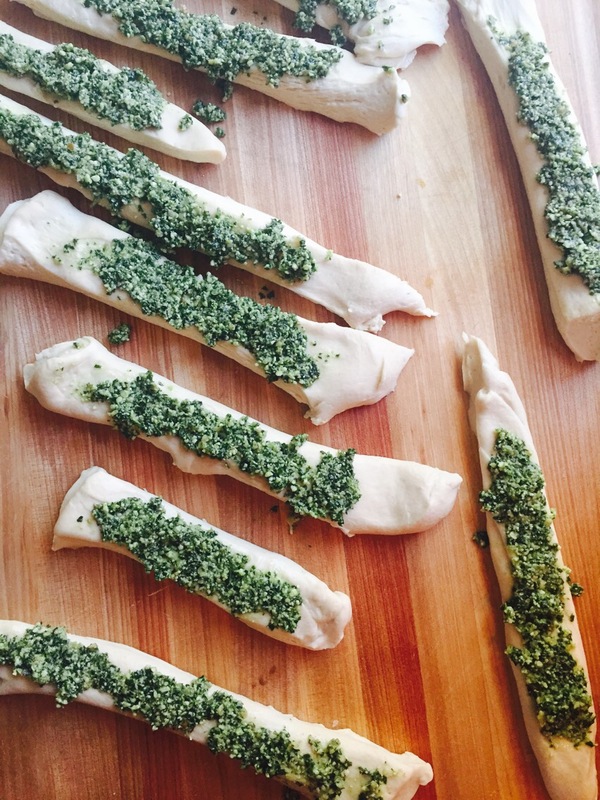 Spread a tsp or two of pesto on each strip. Tie them into simple knots. Almost like a pretzel. Then place them in a well greased pie dish or cast iron skillet. Stir your minced garlic with the melted butter. 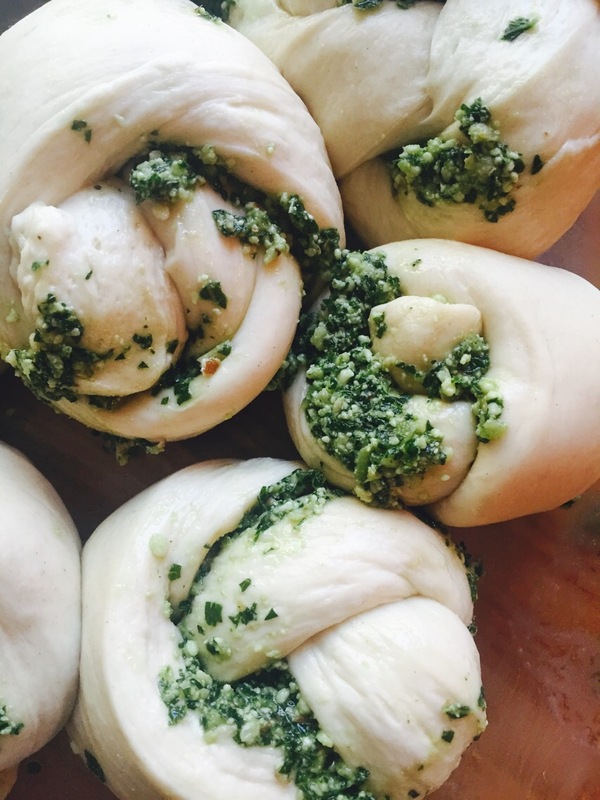 Brush evenly over the top of your garlic knots. 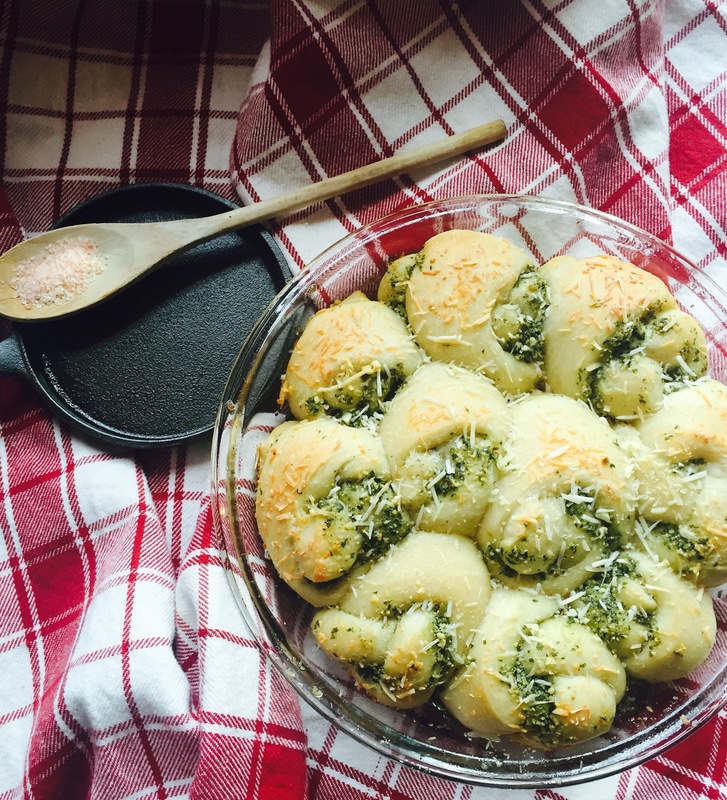 Sprinkle with half of your parmesan cheese and bake for 30 minutes. When they’re done, sprinkle with the remaining parmesan and your fabulously nutricious Hymilayan sea salt. The salt adds such a special kick ontop of the warm bread. Cool slightly before serving and enjoy!